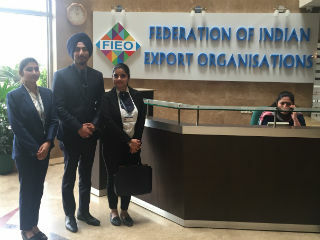 Students of PGDM-International Business, JIMS Rohini attended FIEO summit on 23 February 2018 ,a session "Interactive session with RBI, FEDAI and IBA". The objective this session was to address emerging issues that impacted day to day export business as also policy issues that could create enabling environment for exports and policy makers at RBI, FEDAI, IBA. There were many exporters who came with their issues that they are facing with their goods, shipment, banks from which they linked with. 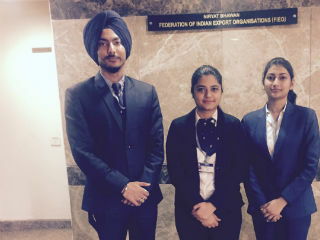 The FIEO CEO AND GENERAL MANAGER Mr. AJAY SAHAI was there as he gave articulate speech. In his speech he raised that how exports are going down and our trade deficit is increasing where current account deficit is only 2%. Exports show only 9% got downward in last month’s exports in credit decline is 9.3%which lowers down to 3.5%as RBI desired the limit of 12%.limit is set for next year is 500 crores and subsidy grows from 3% to 5%, there is 6% growth in petroleum sector. Many schemes are launched by RBI are epdms and gold card scheme. Banking charges are getting appreciated. Problem also arises that exporters should get in touch with their banks. There are 12 lakhs letter of credit are still outstanding and data is beyond 2 years (39,73,000 data is still outstanding). Speech was also given by Mr. ASHWANI SINDHWANI chief executive of FEDAI as global trade is increasing and world bank has revised 100%, presently trade is 1.6% expected growth is 3.5% this year.